Kendrick Lamar’s first Nike collab, the Cortez ‘Kenny 1’ is set to make its retail debut today. Now according to Nike, the Cortez Kenny 1 will will be available on the SNKRS app, and at select Nike retailers. 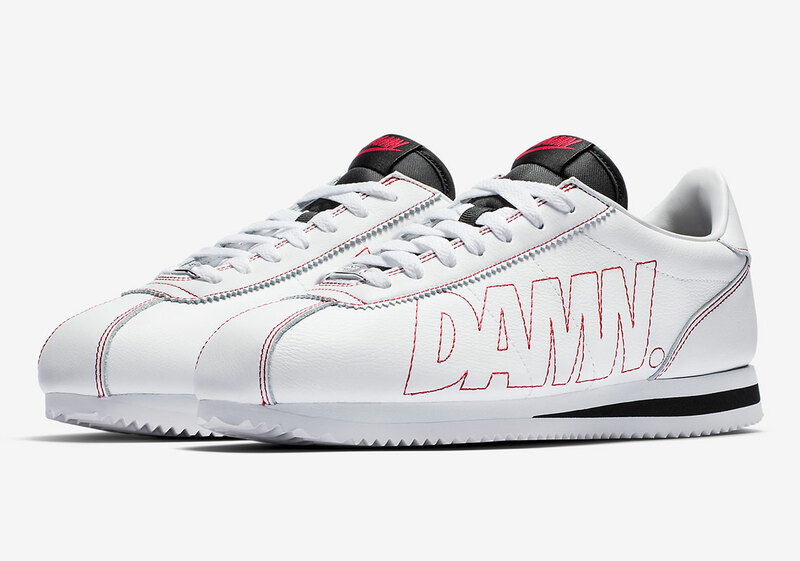 The sneaks are built on a white leather upper, accompanied by red and black accents including the “DAMN.” text which sits in place of the Nike swoosh. Dope or Trash?